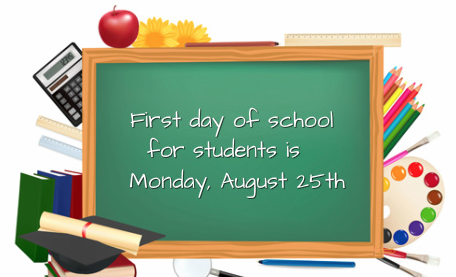 Just a few more days of summer vacation for students, and the 2014-2015 will officially begin on Monday, August 25th. Teachers are back this week preparing curriculum, instruction, assessments, interventions and enrichments for students. In no time at all, family routines around the valley will begin revolving around school, sports, and other activities. As we indicated in the CRSD Annual Report a couple of weeks ago, several significant regulatory changes will begin arriving with the 2014-2015 school year. Even as we navigate these new challenges and opportunities, I sincerely hope that the 2014-2015 school year will be noted for its positive cooperation between the CRSD, families, and other community organizations. Partnerships not only nurture a supportive learning environment, they demonstrate for students the character necessary for a strong sustainable community. Two great venues for partnering with your local school are the Parent-Teacher Organization (PTO) and Advisory School Board (ASB). By nature, both organizations are focused on fostering cooperation. Please check http://www.crsd.us and watch for notices from the school to find out when your local PTO and ASB will be meeting. Please plan to attend and share your input, help develop solutions to challenges, and encourage staff in the hard work they are doing each and every day. Even as you read this week’s Snippets, teachers, administrators and staff are all eager to start the school year off with high expectations for student learning and conduct. Consider starting off the school year by contacting your child’s teacher before the first day of school. Along with your words of support and encouragement, wish them an enjoyable, healthy, and successful school year. They’ll appreciate your kindness and friendship as you work together to provide a quality education for every student everyday. You can find email addresses for all of our teachers and administrators at http://www.crsd.us. Moms, Dads, and teachers, make sure our students…practice those math facts every day! Kids brains reorganize when learning math skills | Fox News. As we all begin thinking about getting back into school routines, it is also time to re-engage with topics that impact education. Last year in a Snippets, we discussed the Common Core. It is an important topic that requires our vigilance. To help get our thinking into the new school year, let’s continue the conversation in this week’s Snippets. Several weeks ago I used this space to invite questions about the Common Core Standards. Though I didn’t receive any questions by email, I have had a couple of questions come up during other meetings. Also, since I invited questions, at least one letter to the editor has been published in the Copper River Record regarding the Common Core. In my original article, I suggested a series of articles or blog posts to help us think carefully about the Common Core and standards in general. Let me start again by noting my concurrence with the admonishments to be very cautious regarding national standards. As I stated in my article several weeks ago, “Clearly there are some extremely unhelpful agendas that have been attached to the Common Core.” Some of those extremes have to do with policy, which we will tackle in a future article/post. Many of the other extremes have to do with content or curriculum, which I’ll attempt to clarify in this posting. To start with, we must understand the difference between standards and curriculum. Standards are broad general statements about what a student should know at each grade-level as they progress toward “college and career readiness.” Standards are mile markers for the education journey. Each mile marker is based on what comes before in the K-12 standards. Just as mile marker 187 is based upon mile markers 186, 185, 184 and so on. The standards in 2nd grade math state that a student should “Fluently add and subtract within 100…”. One of the math standards in 3rd grade states that a student should “Fluently multiply and divide within 100.” The 2nd grade standards provides the foundation for the 3rd grade standards which continue to develop until in 12th grade students should be able to “Solve linear equations and inequalities in one variable, including equations with coefficients represented by letters.” You can’t solve linear equations accurately unless you’ve learned multiplication and division somewhere along the mathematics journey. Where we often loose our clarity is when we use the term curriculum interchangeably with standards. The two are not the same. If standards are the mile marker, curriculum is the vehicle (this analogy is not original but I can’t remember where I first read it.) Curriculum resources are the tools used to teach the standards. The individual lesson objectives, activities, and tests are all combined to make curriculum. Teachers rely on curriculum resources including textbooks, software, visuals, group activities, and even their own creativity to teach students the information and skills necessary to be able to know the standards proficiently. The concerns noted in the media about the common core are predominately focused on curriculum, not the actual standards. There are egregious examples of “common core curriculum” being used to advance agendas contrary to the founding principles of our nation. As noted in the recent letter to the CRR editor, “The standards are merely the drivers and fairly innocent if that is all one chooses to look at.” Caution is warranted as some have and will use the standards to create curriculum resources that have hidden agendas, but we should not go to the other extreme of having little or no expectations for our children’s learning. To confront those who would highjack standards and to be effective protectors of local control, it is imperative that we understand the difference between standards and curriculum. Those with agendas that run against our values will use a lack of clarity to confuse, create conflict and continue to lower expectations for America’s youth. In a future article/post, we’ll look closer at national and state regulations regarding standards and curriculum. Please email your questions and concerns about the Common Core and I’ll use them for future articles in this series on the Common Core.